Storyline : Captain America: Civil War is an upcoming American superhero film featuring the Marvel Comics character Captain America, produced by Marvel Studios and distributed by Walt Disney Studios Motion Pictures. 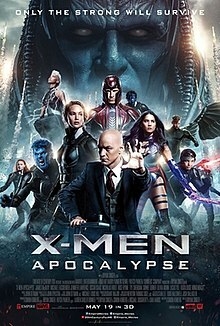 It is intended to be the sequel to 2011's Captain America: The First Avenger and 2014's Captain America: The Winter Soldier, and the thirteenth film of the Marvel Cinematic Universe (MCU). Storyline : A Walk to Remember is a 2002 American coming-of-age romantic drama film directed by Adam Shankman and written by Karen Janszen, based on Nicholas Sparks' 1999 novel of the same name. 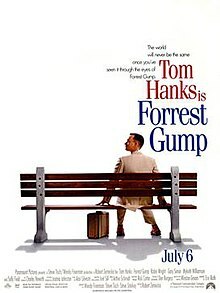 The film stars Shane West, Mandy Moore, Peter Coyote, and Daryl Hannah, and was produced by Denise Di Novi and Hunt Lowry for Warner Bros.
Storyline : The story depicts several decades in the life of Forrest Gump, a slow-witted and naive, but good-hearted and athletically prodigious man from Alabama who witnesses, and in some cases influences, some of the defining events of the latter half of the 20th century in the United States; more specifically, the period between Forrest's birth in 1944 and 1982. 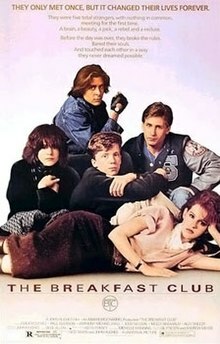 Storyline : The storyline follows five teenagers, each a member of a different high school clique, who spend a Saturday in detention together and come to realize that they are all more than their respective stereotypes, while facing a strict disciplinarian principal. 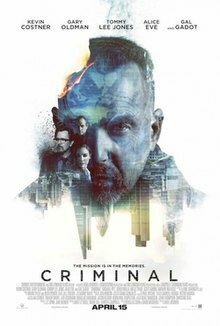 Storyline : Criminal is an upcoming American action thriller drama film directed by Ariel Vromen and written by Douglas Cook and David Weisberg. The film is about an ex-con who is implanted with a dead CIA agent's memories to finish an assignment. 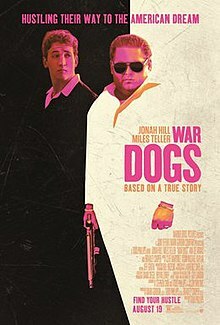 Storyline : War Dogs (previously known as Arms and the Dudes) is an upcoming 2016 American biographical criminal war comedy film directed by Todd Phillips and written by Phillips, Jason Smilovic and Stephen Chin, based on the Rolling Stone article by Guy Lawson. 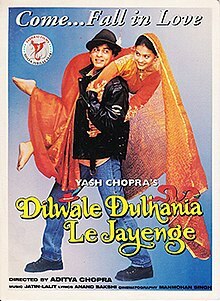 Storyline : Dilwale Dulhania Le Jayenge (English: The Big-Hearted Will Take Away the Bride),also known by the initialism DDLJ, is an Indian romance film written and directed by Aditya Chopra and produced by Yash Chopra. Released on 20 October 1995, the film stars Shah Rukh Khan and Kajol. Storyline : The Lego Batman Movie (stylized as The LEGO Batman Movie) is an upcoming 2017 American 3D computer-animated superhero/action comedy film. It is a spin-off of the 2014 film The Lego Movie, featuring the DC Comics character Batman. 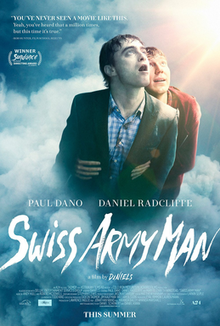 Storyline : Swiss Army Man is a 2016 American comedy-drama film written and directed by Dan Kwan and Daniel Scheinert. The film stars Daniel Radcliffe, Mary Elizabeth Winstead and Paul Dano. The film is scheduled to be released on June 17, 2016, by A24. Storyline : Search Party is a 2014 American comedy film directed by Scot Armstrong in his directorial debut, and co-written with Mike Gagerman and Andrew Waller based on a story by Gagerman and Waller. Storyline : Lights Out is an upcoming 2016 American supernatural horror film directed and written by David F. Sandberg, based on Sandberg's 2013 short film of the same name. The film stars Teresa Palmer and Gabriel Bateman. Principal photography began on June 29, 2015. It is scheduled to be released on July 22, 2016. Copyright (c) 2016 PyMovie Catalog All Rights Reserved.